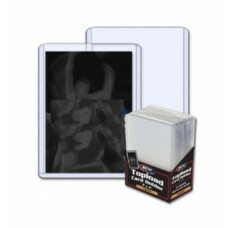 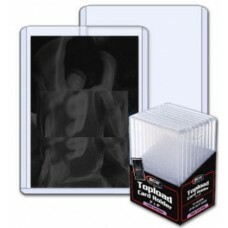 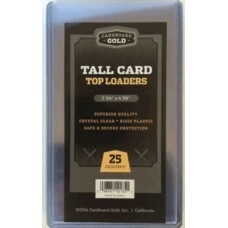 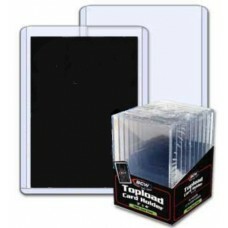 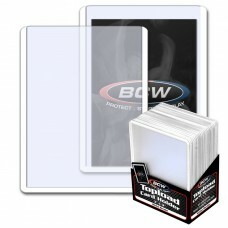 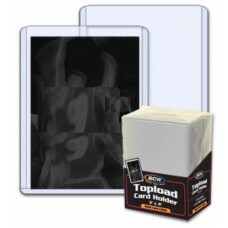 Trading Card Topload Holders are hard plastic protectors that have been a staple item in the collectibles industry since the 1980's. 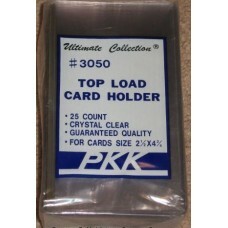 Collectors use these holders to hold their low to mid value cards - cards that are too good to go unprotected but do not warrant a screwdown holder. 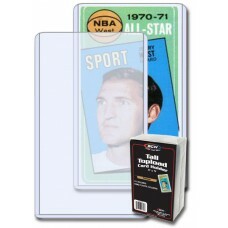 Today's topload holders come in various sizes and thicknesses to accommodate all sorts of sport, non-sport, and gaming cards, such as tall cards, thick cards, super thick cards, wide cards, booklet cards, etc. Hobbies Depot stocks hard plastic protectors for pretty much every card on the market today, and we bring in new items as soon as they become available to accommodate the newest sizes trading cards. 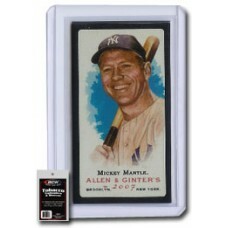 "What holder should I use for my thick memorabilia / jersey / bat card?" 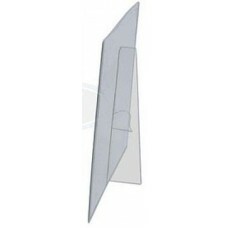 Determining this is actually quite simple. 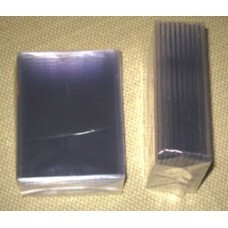 Most card holders are sold according to the thickness of card they will hold in "points". 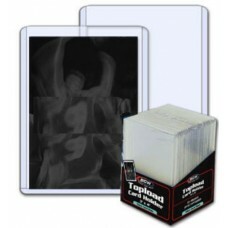 For example, a common Topps Baseball card from the 1980's or 1990's is 20 point stock. 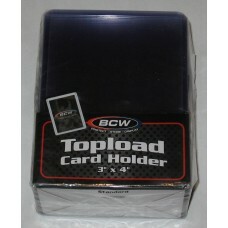 You can stack pile of these common cards next to your thick card until the stack is level with your thick card. 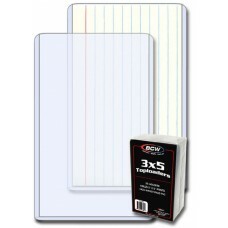 Then, count the commons and multiply by 20. 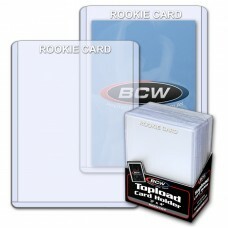 That is the approximate thickness of your thick trading card. 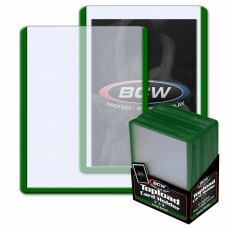 Armed with that knowledge, you can now go shopping (hopefully with us!) 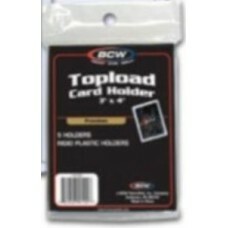 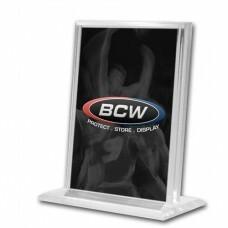 for card holders for your thick memorabilia or jersey cards.